Width 15 ft. 0 in. Depth 15 ft. 0 in. Approx. Height 17 ft. 0 in. 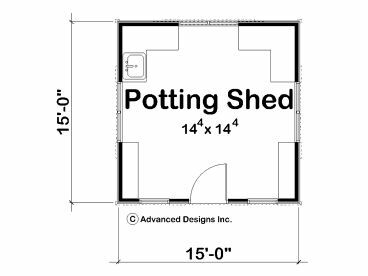 With the looks of a small cottage, this potting shed plan is sure to please gardeners and those with a green thumb. The exterior delivers charm with its shuttered windows and gently arched entry door. 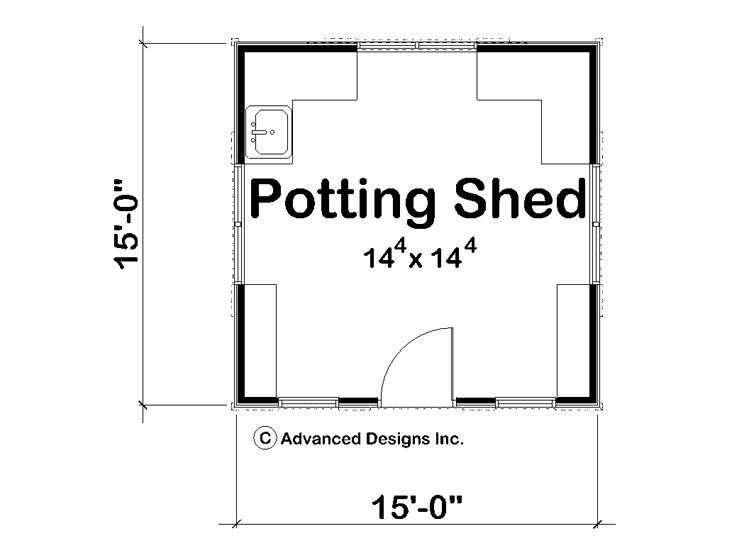 Inside, 225 square feet of usable space makes just the right place for planting and potting. A utility sink, counter space and windows contribute to functionality. Perfect for garden hobbyists this potting shed will be a valuable addition to your backyard.